Ford is back in the medium-large SUV sector with the Endura, a five-seater out of Canada. HERE’S the new Ford Endura … and coming in six months or so, the even newer Ford Endura. Call them before and after cars. It’s all to do with timing. The version of Ford’s latest medium sports utility here now is a taster for what’s to come in full force. Versions of this Canadian-built car either coming on sale right at the end of the year – or early the next (it all comes down to shipping) – will all also offer with a biturbo diesel engine and all-wheel-drive, just as now. Yet these will be update models, a flagship replicating the badging and trim provided with the $73,990 ST Line just landed now plus two more that will dial back in plushness and therefore price. Conversely, they will nonetheless be higher tech, with a replacement drivetrain as well as fresh styling, all benefits of a mid-life facelift. How come I know so much? Easy. The updated line has already hit the road in North America and the United Kingdom. So, what’s with the 300 ST Line examples here now? Again, timing. The last of the pre-facelift versions, whose production has now finished, these have been brought in to scratch an itch that cannot be ignored. The medium SUV sector is a crucial spot, the second strongest for sales within the passenger category, yet a place Ford has not been since the Territory fell out more than a year ago. The ST-Line will begin the process of reconnection with the market; the facelift stock will further cement it. 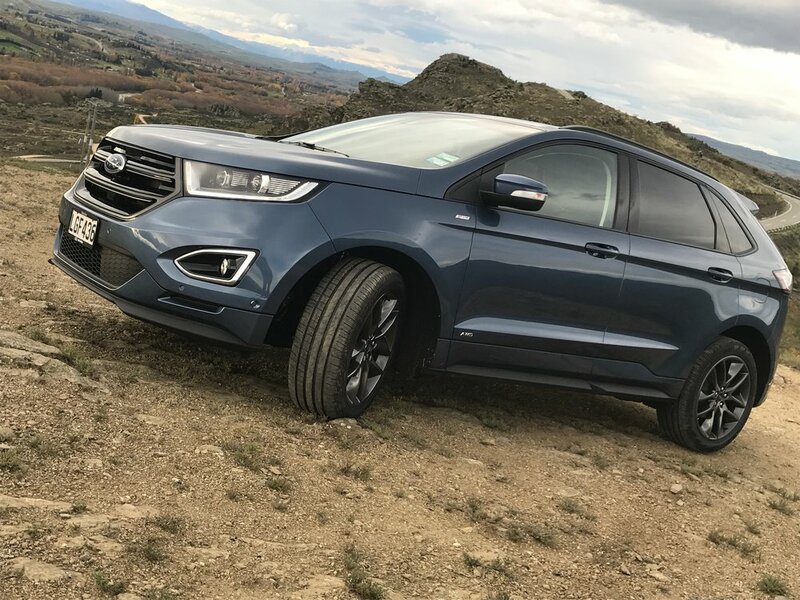 With Endura sitting above the smaller Escape and baby EcoSport – which, once the current Fiesta leaves at year-end, will become Ford’s cheapest new car – and also beside the larger, more rugged (being Ranger-related) Everest, Ford NZ feels it can mount a really good line-up. One point to bear in mind: What Ford has now is different to wat it had with the Territory. Even though it is similar sized and has similar performance traits to the big Aussie, is also capable of some limited off-road operation and has lots of nugget family-friendly design flair, Endura falls short of being a full replacement in that it only comes in five chair format. Territory, of course, sat seven. There is seven-chair Endura, but only in China, which is left hand drive. For now, then, Everest alone ticks the box. Picking the difference between the ST-Line Endura here now and those incoming might not be too hard. For a start, just focus on the frontages. 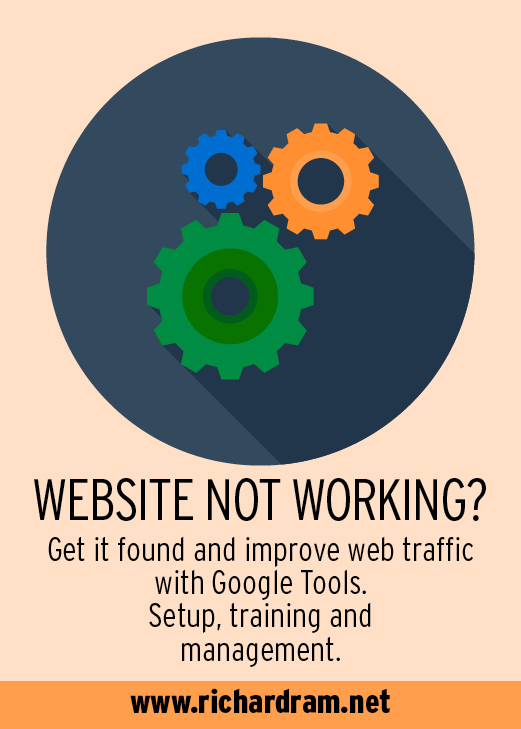 The facelift is exactly that – the current look is handsome, yes, but the refresh less fussy. There are likely to also be some equipment changes; assuredly, we won’t see the current Sony infotainment system with its outdated CD player carry through. The biggest change will be to the drivetrain. 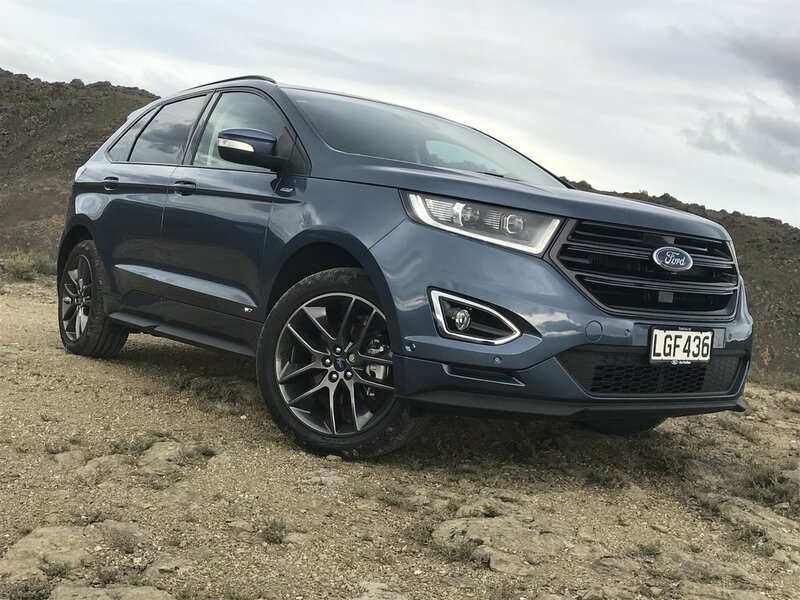 Ford NZ is being a bit cagey about this but has let out enough clues to suggest that the current 154kW/450Nm Duratorq diesel and its six-speed direct shift gearbox will be usurped by an eight-speed auto married to another biturbo 2.0-litre diesel from the latest EcoBlue family. Going to EcoBlue is enforced by the Euro 6 emissions and efficiency standard that doesn’t matter much here but certainly has to be met elsewhere in the world. Duratorq doesn’t manage; EcoBlue does. The Endura’s EcoBlue seems to be the same that will deliver here in the latest Transit van, just arriving now, and the Ranger Raptor, which is expected around August. The mainstream Ranger, Ford has confirmed, sticks with the current 3.2-litre five cylinder. Anyway, back to Endura. The question you’ll perhaps ponder over is whether it’s best to buy now or wait for the 2019 model line that, in addition to a new ST-Line, will also likely deliver cheaper Trend and Sport editions, quite likely to place sit in the high $50k and mid $60k zones. It’s hard to say without driving both. Clearly the new car will offer improvement. Ford (not here, but in North America) has said as much. That new auto sounds interesting; the Adaptive Shift Scheduling and Adaptive Shift Quality Control could well be nifty features as they are said to both adapt to road and terrain conditions and also suit the driver’s style. And the more cogs, the smoother the shifting and better the economy. That’s not to say the six-speed here now is deficient. 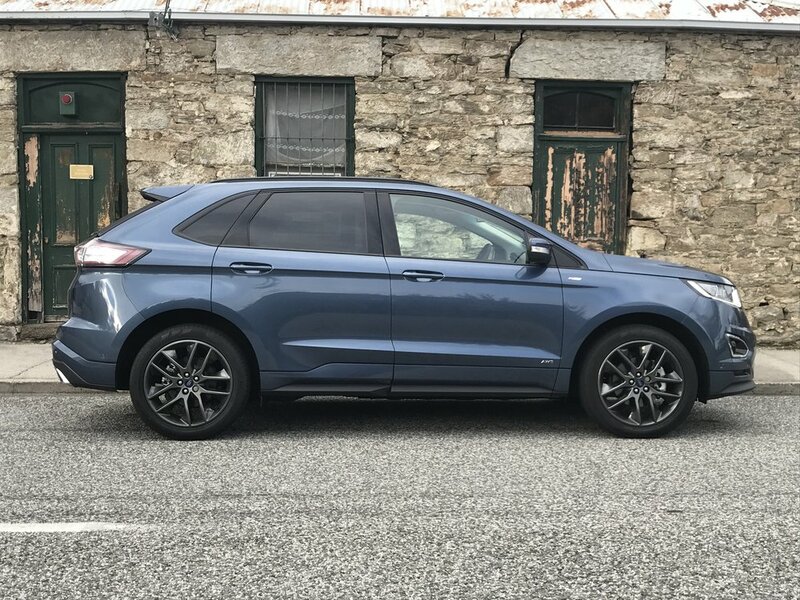 However, a first drive yesterday suggests it might be smoother in urban operation than on the open road, where there’s the usual touch of gear-to-gear hesitancy that seems to be a trademark of Ford’s dual clutch type. As is usual in this category, Endura runs an on-demand all-wheel-drive. A brief stint of off-roading on a rocky hillock behind Alexandra – yes, that was us fooling about – showed it’s a decent enough system. Don’t get too excited about heading cross-country; it’s a car (Mondeo)-based crossover, nothing more. Yet we worried less about getting stuck than damaging the 20-inch rubber on the sharp-edged rocks. Interestingly, Ford information from overseas suggests the 2019 has an upgraded AWD. Whether that’s to make it smarter on seal, or beyond, is not clear. Maybe it’ll quicken up the two- to four-paw power transition, which does seem to be just a touch tardy on loose surface ascents at the moment, though it was perfectly fine on a gravel road I let rip on. The issues with the engine might bother bureaucracy but should easily earn black marks from users. While obviously not clean enough for the guardians of efficiency, the claimed CO2 rating of 159 grams per kilometre is pretty decent for an oiler now. Economy might be worth watching, though. Even though our style of driving during our Queenstown-centred run was more leisurely than brisk – not wholly by choice, it’s just that the roads around this region are heavily populated by meandering tourist traffic – it was surprising that the average economy cited by the onboard computer was three litres per 100km short of the optimal 5.9L/100km cited by the maker. But, then, it is a heavy car at 1949kg and, also, the route did contain some climbs and many corners. While a little lethargic on the kick-off, it seems to come right on the move, with decent low to mid-range oomph. What really impressed was how suave and silent it is. There’s not a lot of clatter at idle and, on the move, it smooths right out. The absence of an overtly mechanical note is probably not just down the engine itself. The Endura has been treated to some snazzy noise-cancelling technology and in all likelihood has also picked up a lot of sound-proofing, too. Still ran very quietly on those South Otago roads, with not a lot of tyre noise or wind intrusion, either. How quiet? Put it this way: On arrival in ‘Alex’ I was utterly focused on resolving a perplexing mystery. What was the cause of a very slight whirring sound emanating from behind the front seat? We stopped, turned off the engine – but left the ignition on - and started hunting. The source? Turns out I’d been the problem, having turned the seat heater on. What we could both hear was a fan within the seat back blowing warmed air ventilation. It wasn’t overtly loud by any means; but just loud enough nonetheless. Endura’s driving demeanour is also not bad if you accept that the ST-Line’s performance addenda is more to do with enhancing the looks than investing the car with additional dynamic ability. Yes, it has a sports suspension tune that slightly lowers the ride height and firms up the springs, plus those large wheels, but regardless it is still a car of some substance – not quite as long as the Territory, but actually wider and no lighter. So, in short, it fills the road (though that was still no excuse for me skiffing the right rear door against a low bollard while entering our hotel carpark. Minimal damage, maximum embarrassment. Again, sorry Ford). It feels that way. Yes, it demonstrates good grip and balance; the steering is also nicely progressive in its feel and the brakes, when asked to enact with urgency (as when the rental Corolla ahead of me coming through Cromwell indicated left, and turned right), do so without fuss. However, insofar as sporty SUVs go, it’s more middle of the road, in a lane-filling way, than extreme. While it was untroubled holding a tidy and grippy line on those winding sections, with body roll being kept in relatively decent check, too, the overall sense from this first excursion is that in overall demeanour, while comfortably well-planted, it seems a car slight better suited to relaxed driving than racing. That might not quite be what a keen driver always dreams about, but other occupants will be grateful. The ride can seem a bit ripply over some surfaces, but never to teeth-chattering level. It is probable that the other models, which seem to have less overt rubber and softer tuning, might be more cosseting, still. Comfort has certainly been a high priority for the designers. The chairs are big and form-fitting and, as such, very decent for long-distance driving. The driver’s chair is set higher than in some Ford cars, perhaps in an effort to achieve the ‘command’ position that is expected of SUVs. With 10-way power adjustment, it’s not hard to achieve a good driving position. The cabin is a bit like that in the Focus, but on larger scale. There’s a big the touch screen featuring Ford's latest Sync 3 system with Apple CarPlay and Android Auto. Fit and finish is impressive, the quality of some plastics a bit less so. When the full Endura family arrives, it’ll be diesel all the way. Despite some shift toward petrol, Ford NZ reckons most customers prefer the black stuff. Still, they’re not saying that petrol is completely out of the picture. Ford obviously has some four-cylinder options there and, of course, in the Americas it provides the car with a twin-turbo petrol V6. Could that mill format for right-hand drive? What won’t change is the overall name: Even though Endura is known as the Edge internationally, the car cannot assume that tag here. Toyota has trademarked Edge and occasionally uses it limited edition versions of the Hilux. Local managing director Simon Rutherford has made clear that the ‘ST-Line’ dsesignation also appeals, not least because we’re going to see more Fords so-configured. In fact, the Mondeo already has. Whether that leaves an opening for a return of another Titanium, a name that also attached to Territory and has been chosen for the top-spec model going into Australia, is unclear. Rutherford suggests our ST-Line is basically fitted out to the same level as our neighbour’s Titanium. They are also taking a Titanium Plus, which is basically the super-plush Edge Vignale that goes into the UK. Going by the signals out of the local operation, that level of Endura might be too rich for us.